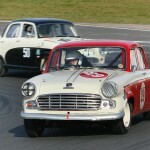 The last race of the HRDC 2012 season was held last Sunday at Mallory Park. 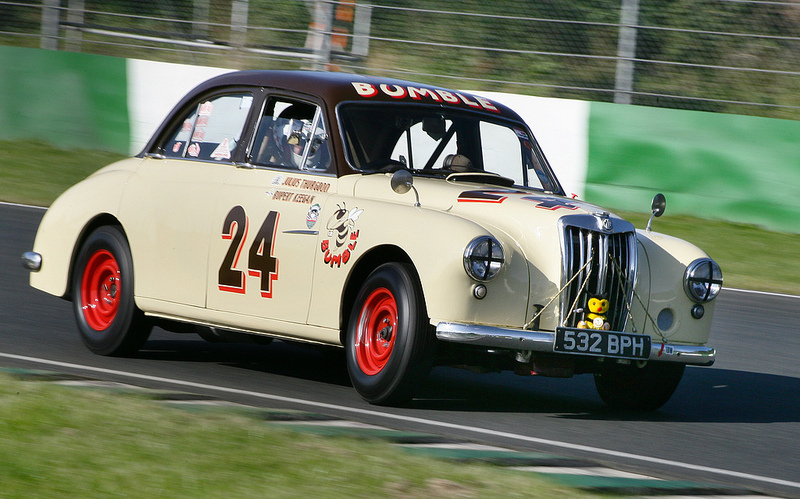 We were there with Dave Griffiths in the Standard Vanguard, James Turner in the Ford Zodiac, Ian Burford in the Sebring Sprite “Lumbertubs” and sharing the drive in “Bumble” the MG Magnette was Julius Thurgood and Rupert Keegan. Dry conditions and some sunshine made for a very pleasant close to the season. 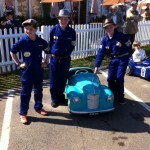 Racing was top class as usual with some strong results from all of our drivers. 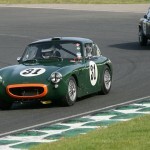 In the Touring Greats race Dave Griffiths moved further up, qualifying 11th, finishing 8th overall and 2nd in class B. 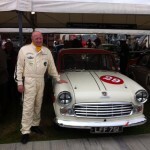 First in class B and 4th overall was James Turner in the Zodiac. 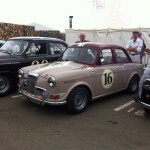 Julius Thurgood managed to weave his way from 19th up to 14th in the MG Magnette. 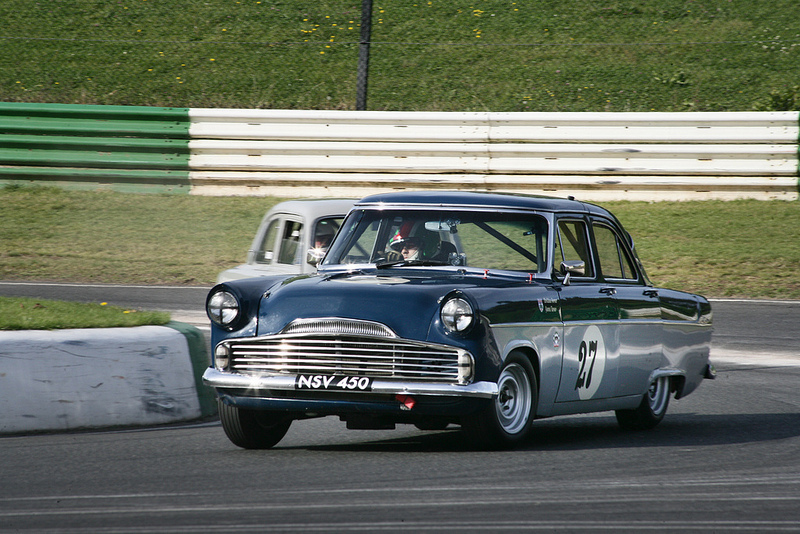 In Grand Touring Greats Ian Burford made a big jump up the grid qualifying 7th and finishing 6th. 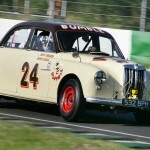 Rupert Keegan drove “Bumble” in the Allcomers race finishing 7th. 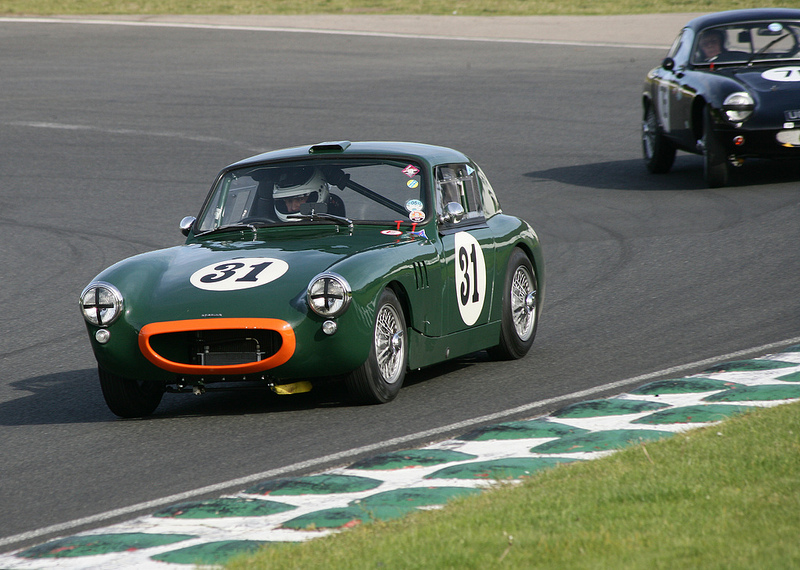 We have had a great year and have thoroughly enjoyed the atmosphere and the competition that Julius Thurgood and the HRDC has provided. 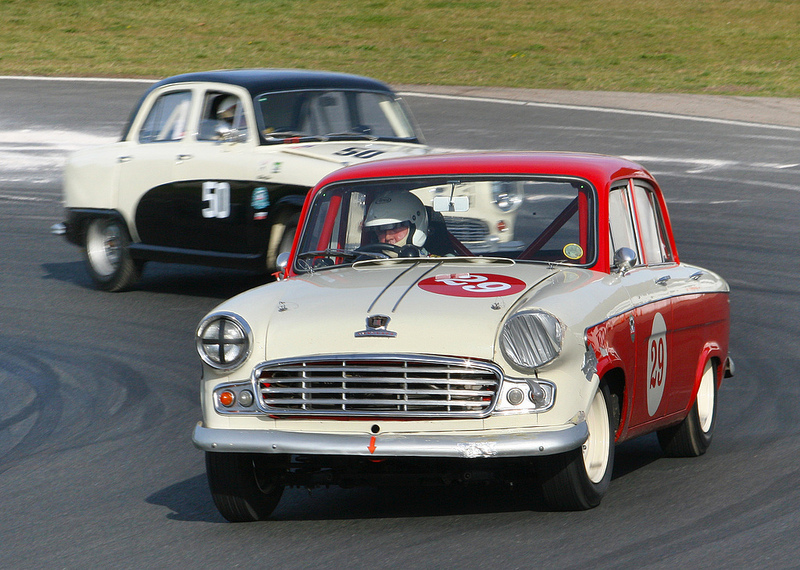 We are looking forward to 2013 and another great HRDC season. We spend a year preparing for one weekend and it’s all over in the blink of an eye. 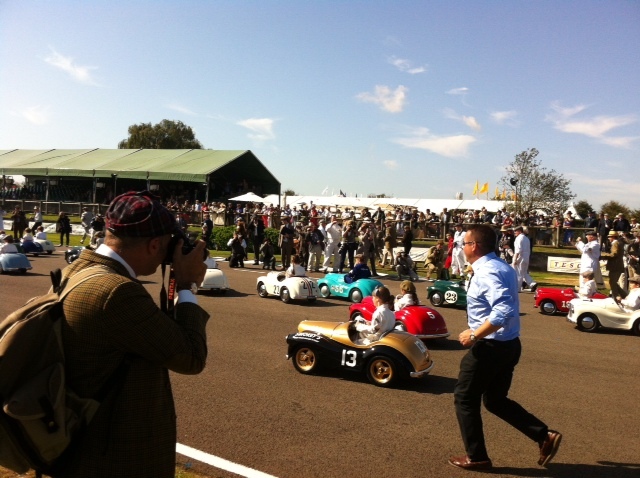 We had our biggest Revival to date with six cars on the grid for the St. Mary’s trophy. Needless to say a few things went wrong over the weekend but through sheer determination and hard work all cars qualified and all cars made every race. The biggest tragedy was that the Metropolitan’s engine letting go during first practice. 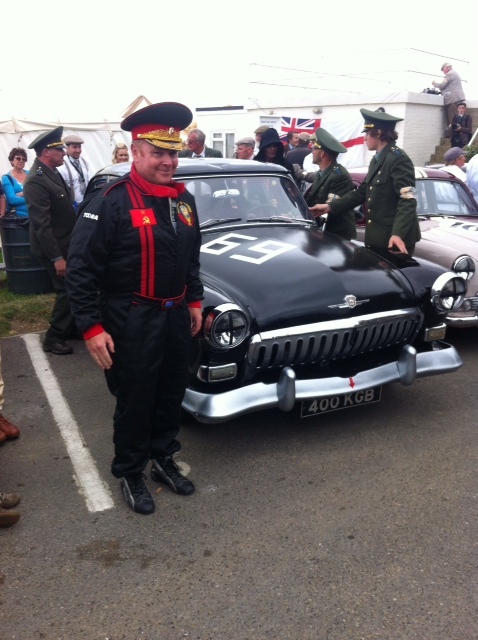 Luckily we had a spare but it wasn’t as powerful as the first. 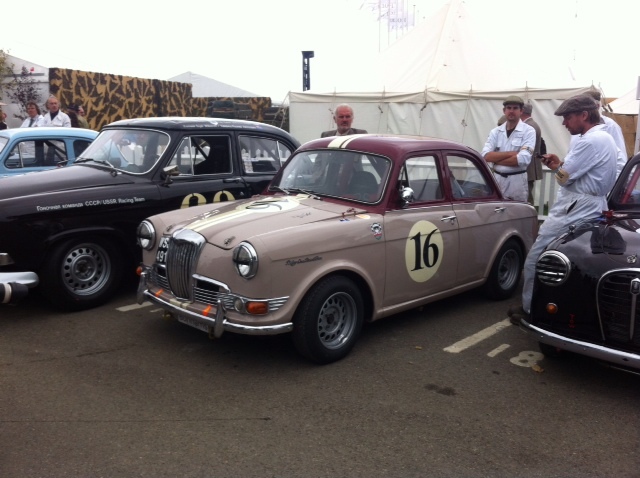 On the plus side, the Metropolitan was a huge crowd favourite receiving a massive cheer when it came out on track. 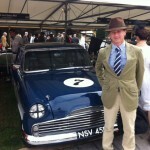 The Standard Vanguard of Dave Griffiths was our top finisher overall. 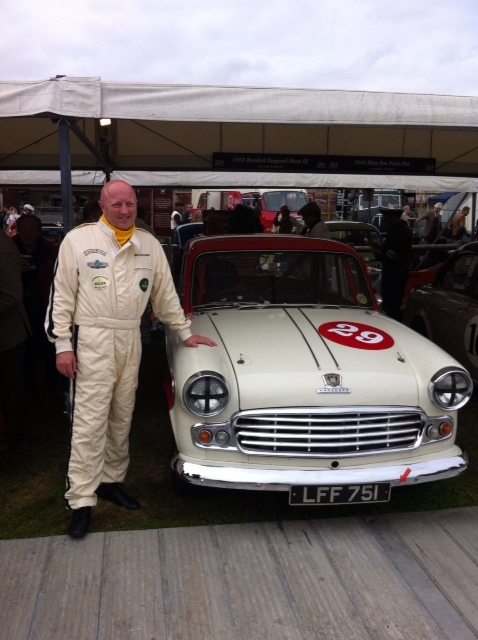 The car achieved it’s all time best with it’s fastest lap ever and it’s highest finish of 7th place in the hands of “Whizzo” Williams. 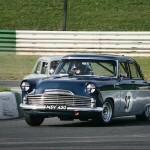 Dave put in another strong drive despite the safety car slowing things down to score a superb 8th place on aggregate. 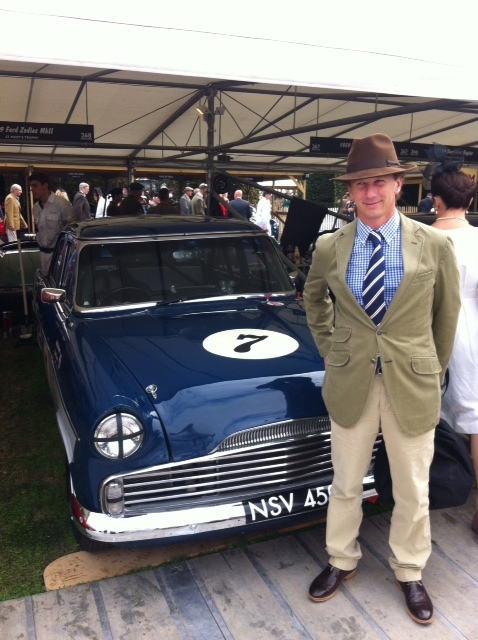 The Vanguard also proved to be our most reliable runner. The gearbox on the Zodiac went out during Christian Horner’s race but by some miraculous chance of fate we managed to find a replacement over night and had it installed in time for James Turners race on Sunday afternoon. James finished 5th up from 6th. 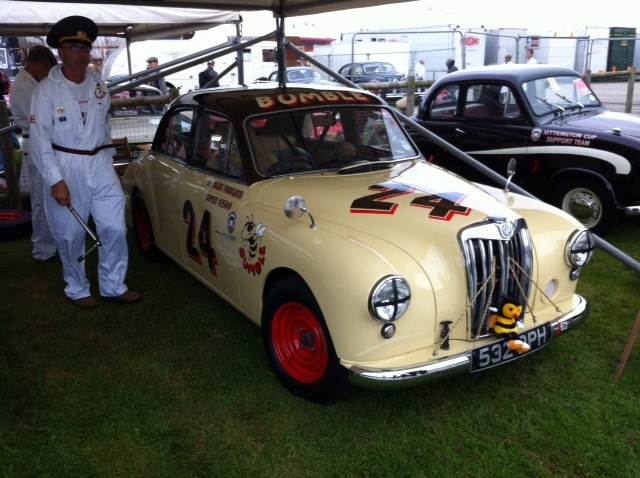 Julius Thurgood also had a good weekend with “Bumble” the MG Magnette. The car performed reliably for the most part with a diff rebuild in between practice and the race to finish 11th on aggregate. 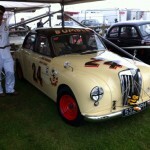 The Riley 1.5 of Bonham’s required a spare engine after an over-rev but successfully made the grid for Sundays race. 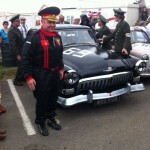 Roger Wills’ Gaz Volga performed very well despite losing its bonnet on Friday. 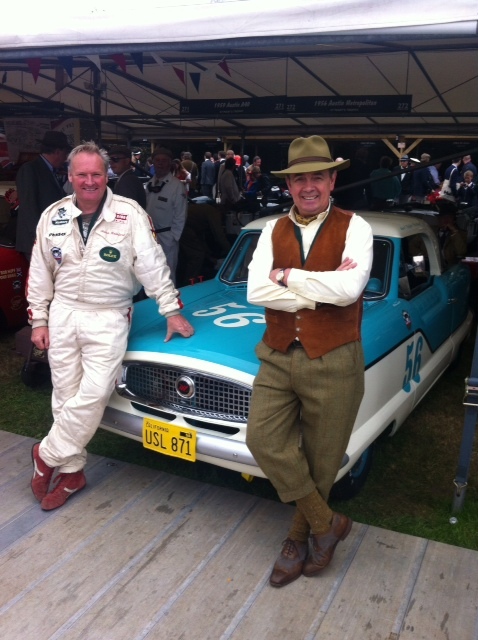 Roger and Brendan Hartley finishing a respectable 10th on aggregate. The highlight of the weekend was of course the Settrington Cup. 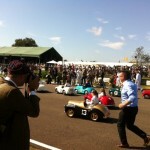 The children all had a wonderful time pedalling their Austin J40’s down the start/finish straight. 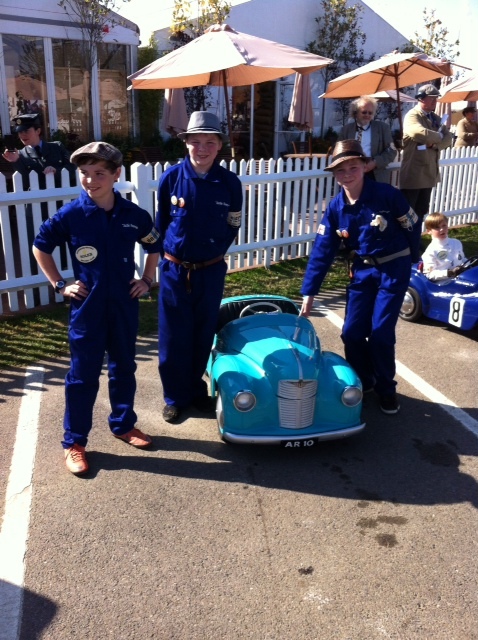 We had two teams entered, Rainford Racing with Shaun’s boys Charles, James and Ali and Team Turner with James Turners boys Josh, Felix and Zak. 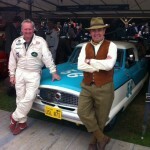 We are all absolutely knackered but already missing the atmosphere and starting to plan for next year. See you there!